This week saw Springwell’s Purple vests in action on a variety of terrains including the athletics track, mountains and even snow fields and volcanoes. Saturday 14th July was a day of track and field action with the Irish Milers GV Ryan meeting at the Irishtown Stadium in Dublin and the Irish Juvenile Track and Field Championships in Tullamore. At the Irishtown Stadium Niamh Carr and Luke Dinsmore both ran personal bests to finish 5th in their respective 1500m races with Niamh running a time of 4.36.85 and Luke a 4.06.86. At the Juvenile championships Springwell RC had their youngest ever competitor at an Irish Championship as 11 year old Eobha McAllister ran a personal best of 1.53.85 to finish 10th in the U12 girls 600m. In the U15 boys 800m Ryan Smyth was 8th in a time of 2.15.95 and in the U16 boys 800m Matthew Beveridge ran a 2.06.58 to finish 9th. The 7th annual Sea 2 Sky race took place on Friday 13th July in the Kingdom of Mourne. Starting on the promenade in Newcastle the race provides a stunning course on a mix of road and trail through the foothills of the Mournes, climbing to give stunning views over Newcastle before descending to finish on the promenade. Running in almost perfect conditions, over 600 competitors took on the challenge of the 10k event. 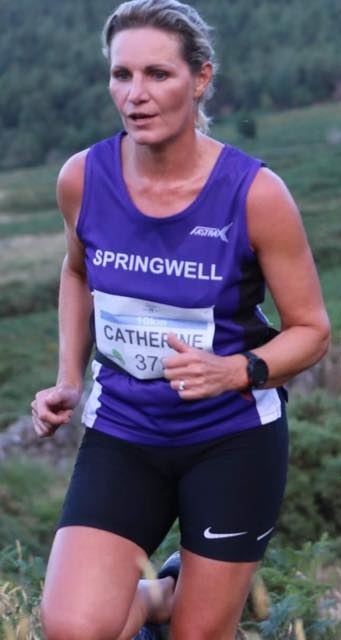 Representing Springwell RC Catherine Pinkerton finished 5th in the F40 age category and 148th overall in a time of 50.17. Gary Moore ran a 50.20 to finish 149th while Conor Duffy was 476th in 1.04.14. Situated in the southern highlands of Iceland, Laugavegur connects the nature reserves of Landmannalaugar and Thorsmak and is made of mountains, volcanoes, snow and volcanic ash and is so remote that it can only be accessed for a few short weeks each year during midsummer. The Ultra Marathon covers a 55km off road course with rope-assisted river crossings, which this year saw 8km of the course covered in snow and fog on some of the mountain sections. This year 553 competitors, including Springwell RC’s Richard Ross took on the challenge of the Laugavegur with Richard finishing 305th in a time of 7.48.32. Saturday 21st July is the popular Kennedy Kane McArthur Festival of Running with a half marathon and five mile race available to competitors. The festival celebrates ‘Ken’ McArthur who was born in Dervock in 1881 and was the local postman before emigrating to South Africa at the age of 20 in 1901. Although recognised as a promising athlete as a teenager he didn’t pursue an athletics career until his move to South Africa. His most famous achievement was his victory in the marathon at the 1912 Stockholm Olympics with a time of 2.36.54, in conditions that saw the only fatality at an Olympic Marathon with the death Portuguese athlete Francisco Lazaro. In a career cut short by injury in 1913 ‘Ken’ ran six marathons and never lost one. 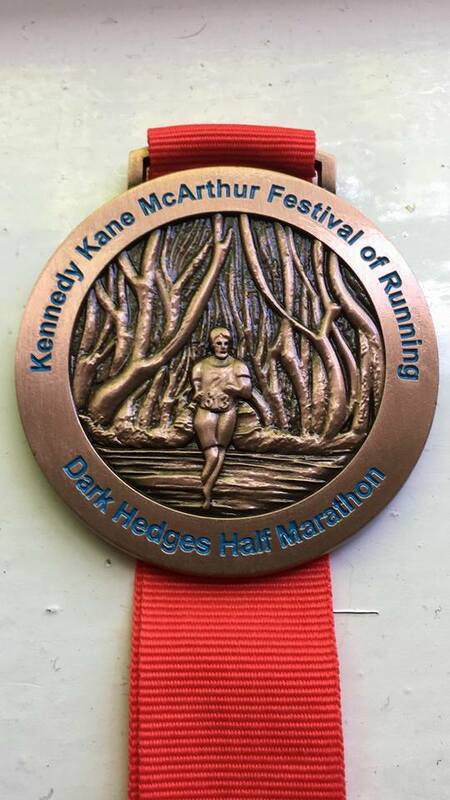 Although the Half Marathon course has undergone a few changes this year competitors will still be running along the ‘Kings Road’ through the Dark Hedges, with some very attractive medals for all finishers. Entries for both races are available on line at https://athleticsni.org/Fixtures/Kennedy-Kane-McArthur-Festival-of-Running-Dark-Hedges-Half-Marathon or on the 21st July at the race registration in the Dervock Community Centre.